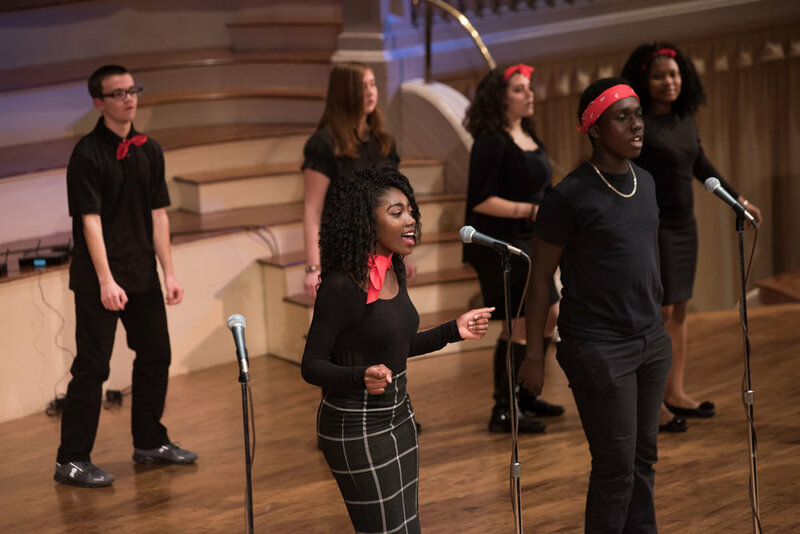 On April 7, 2018, the Worcester Education Collaborative hosted the third annual WEC’apella at Mechanics Hall. 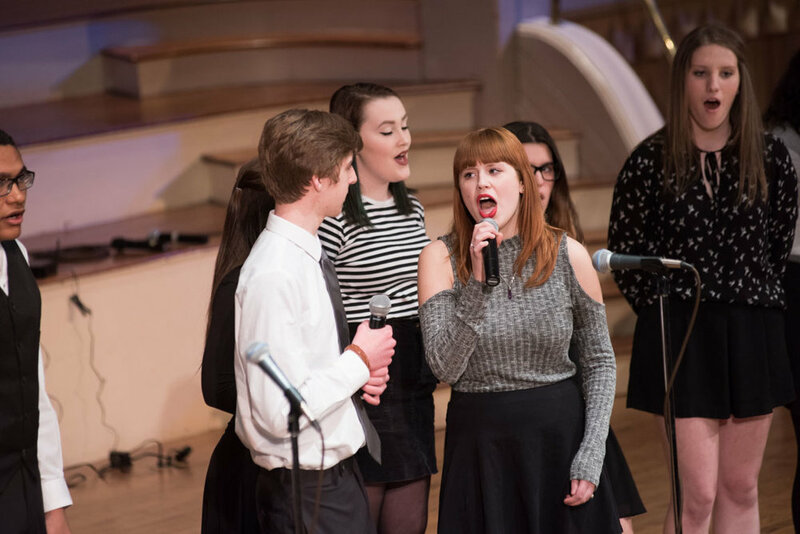 The second annual WEC’appella competition rocked Mechanics Hall on Saturday, April 8, 2017 as four high school a cappella groups and five college groups showcased their vocal abilities in a fundraiser for WEC. WEC’appella is a signature event for Worcester families and students who love music and their schools. It’s the only a cappella competition in the city and celebrates this challenging art form mastered by high school and college singers. An audience of more than 500 filled the floor and balconies of Great Hall. The MC for the event was singer Noah Lis of Springfield, a former competitor and member of Team Blake on “The Voice.” Judges were: Richard Duckett, entertainment reporter for Telegram & Gazette; Ruth Berman who performs with the female a cappella quartet Boston Accent, past winners of the Harmony Inc. International contes and Brett Maguire, assistant director of the Worcester Chorus, a frequent organ soloist and collaborator. 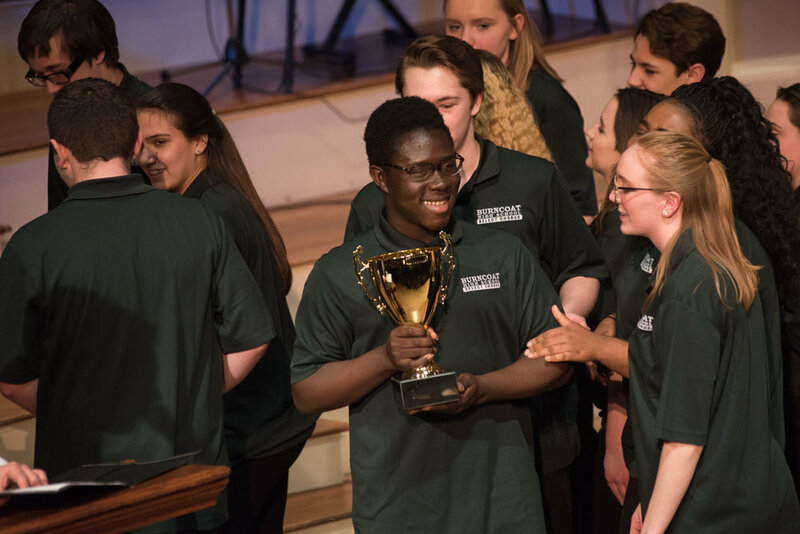 He regularly accompanies the Master Singers of Worcester, the Assabet Valley Mastersingers, the choirs of All Saints Episcopal Church, the Assumption Chorale, and the Worcester Children’s Chorus. The high school winning group was Quadrivium from Burncoat High School. They sang “Angel” and “Down on the Corner.” Members of the group are: Joe Adade, Martlyn Adu, Kayla Amegbe, Ewart O’Neall Bannock, Alexandra Beaudoin, Colby Croteau, Adeline Dwyer, Quinlan Fitzgerald, Abigail Friedline, Isaiah Gomez, Natalia Jones, Brett Levesque, Ryan McCarthy, Samantha Meunier, Miriam Nortey, Andrew Persson, Kaitlyn Resener, Madeline Rich, Stephen Rivera, Jaden Scott and Kylie Thomas.